If you are always on the go and boating and camps will always form part of your plan, then consider investing in the right trailer jacks. With a reliable trailer jack at your disposal, you can couple and uncouple the rig and spend more time camping and enjoying the trip. We offer different kinds and categories of trailer jacks that can meet different demands and off-road requirements. Some of the top categories of trailer jacks include A-Frame Trailer Tongue Jack, Drop Foot Trailer Jack, Pipe Mount Trailer Jack, Snap Ring Trailer Jack, Swivel Trailer Jack and EZ Jack. Our trailer jacks come in different sizes and capacities that can meet specific outdoor demands. 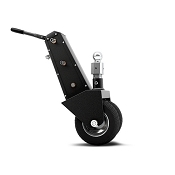 For example, you can count on Trailer Swivel Jack 1500lb Capacity with 4in x 8in Wheel that is best for boat trailers of different sizes and can accommodate up to 1500 lbs. most of our trailers will feature all-terrain wheel that can help prevent sinking into soft surfaces (like mud and sand) which means that you will have a stress-free travel. 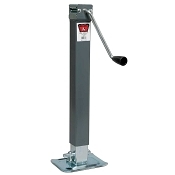 We also carry trailer jack accessories in case you need to maintain or repair your equipment. Get your own trailer jacks now and ensure a stress-free drive every time. Your weekends and special time with your family should be spent enjoying the outdoors and not fixing your trailer. Check out our selection of trailer jacks in many sizes, capacities, and styles for all types of trailers from top name manufacturers. These jacks are available in many different mounting variations and functions. 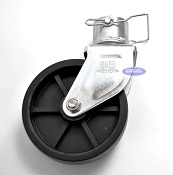 We have trailer tongue jacks for all types of trailers, from Boat Trailers to Enclosed trailers.